The Sravasti community is deeply concerned about recent violence in Myanmar against the Rohingya ethnic group. 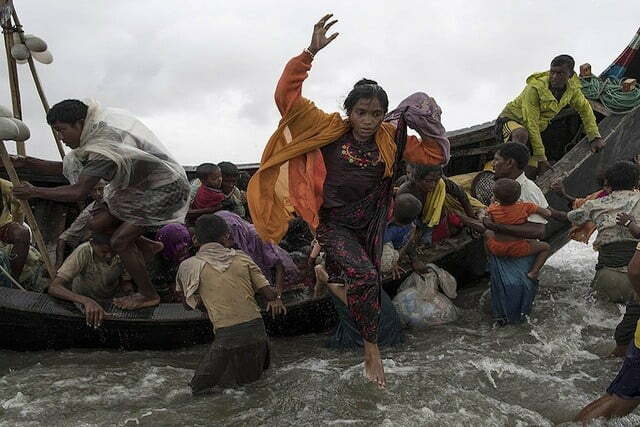 Over the past month, more than 400,000 Rohingya refugees have crossed into Bangladesh fleeing armed attacks on their villages by Burmese military and police. Some have attributed the violence to longstanding religious tension between the Rohingya, who are Muslim, and Burmese Buddhists. We are calling on the Myanmar government as a majority Buddhist country to do more to enact the Buddhist principles of respect, tolerance, compassion, and loving-kindness. Read the letter signed by the Abbey community here. Watch recent videos by Venerable Chodron addressing the Rohingya refugee situation and religious violence: 09-11-17 Rohingya Crisis, 09-23-17 Living Up to Our Religious Ideals, and 09-26-17 Insider Views on the Rohingya Crisis.